Kyrgyzstan is a former Soviet republic located in the mountainous terrain of Central Asia that achieved independence in 1991. Its population of about 5.4 million is primarily Sunni Muslim. Its geographic location—alongside China and near Afghanistan—has made this quiet agrarian nation a key interest to the United States. Following the terrorist attacks on Sept. 11, 2001, the US needed strategic locations from which it could support its military operations inside Afghanistan, and Kyrgyzstan fit the bill. In late 2001, American officials reached an agreement with Kyrgyzstan’s president, Askar Akayev, to allow American and European planes to use a former Soviet air base near the capital of Bishkek as a base of operations for moving men, equipment and supplies into Afghanistan. The US leased the base and quickly expanded it to house thousands of personnel. For the next few years, this military relationship between the US and Kyrgyzstan remained stable because of the millions in economic assistance provided by the US and international organizations urged on by American officials. The political climate in Kyrgyzstan has been marred by irregularities and a concentration of power in the executive branch. Akayev came to power in 1991 unopposed and in 1995 he used state resources and state-owned media to build and support his campaign and won. According to the US State Department, however, “three out of the six presidential candidates were de-registered shortly before the election.” He has pushed through referendums to the constitution that ultimately increases his power and reduces the power of parliament and the constitutional court. Freedom of the press has also been an issue given that the state controls the media and pressures independents into abiding by their suggestions. Beginning in 2005, however, Kyrgyzstan’s leaders began to sour on the US presence in their country. Akayev was ousted from power after various accusations of electoral fraud, and his replacement, Kurmanbek Bakiyev, openly talked about the day when the Americans would leave. At one point two US diplomats were accused by Kyrgyz officials of spying and kicked out of the country. Washington responded by kicking out two Kyrgyz officials from the US. And to further exacerbate tensions, a Kyrgyz citizen was killed by an American soldier guarding the air base, prompting more calls by local leaders for US expulsion. Washington officials have given no indication that the US intends to leave anytime soon. On April 7, 2010, the Bakiyev’s government was overthrown in the face of large-scale protests. An interim government has been established led by former foreign minister Roza Otunbayeva. Lay of the Land: This predominantly mountainous country in Central Asia is bordered by China to the east, Tajikistan to the south, and Uzbekistan to the west and Kazakhstan to the north. Religions: Sunni Muslim 80%, Russian Orthodox 11%, other Christian (Catholic, Protestant) 4%, Buddhist 0.5%, Ethno religious 0.4%, Baha’i 0.1%, non-religious 4%. Ethnic Groups: Kyrgyz 68.9%, Uzbek 14.4%, Russian 9.1%, Dungan 1%, Ukrainian 1%, Uygur 1%, other 5.7%. Languages: Kyrgyz (official) 64.7%, Uzbek 13.6%, Russian (official) 12.5%, Dungan 1%, other 8.2%. The Kyrgyz were originally a nomadic Turkic people who first settled in the Tien Shan Mountains. Russia first began to colonize Kyrgyzstan in the 1900s, and Russian settlers wound up taking over the best agricultural land. This led to an unsuccessful revolt by the Kyrgyz people in 1916. Kyrgyzstan eventually was absorbed by the Soviet Union as a Soviet republic in the 1920s. The Soviets forced the Kyrgyz to abandon their nomadic culture and brought modern farming and industrial production techniques into their society. During the Glasnost years of the USSR, Kyrgyzstan’s press was permitted to adopt a more liberal stance, leading to the establishment of a new publication, Literaturny Kirghizstan, by the Union of Writers. Unofficial political groups were forbidden, but several groups that emerged in 1989 to deal with an acute housing crisis were permitted to function. In June 1990, ethnic tensions between Uzbeks and Kyrgyz surfaced in an area of the Osh Oblast, where Uzbeks form a majority of the population. Violent confrontations ensued, and a state of emergency and curfew were introduced. Order was not restored until August 1990. The Kyrgyzstan Democratic Movement (KDM) developed into a significant political force with support in parliament. In an upset victory, Askar Akayev, the president of the Kyrgyz Academy of Sciences, was elected to the presidency in October 1990. The following January, Akayev introduced new government structures and appointed a new government comprised mainly of younger, reform-oriented politicians. On August 19, 1991, during a coup attempt in the Soviet Union, there was also an attempt to depose Akayev in Kyrgyzstan. After the Soviet coup collapsed the following week, Akayev and Vice President German Kuznetsov announced their resignations from the Communist Party of the Soviet Union (CPSU), and the entire politburo and secretariat resigned. As the Soviet Union began to break up, Kyrgyzstan proclaimed its independence, on Aug. 31, 1991. In October 1991, Akayev ran unopposed and was elected president of the new independent republic, receiving 95% of the votes cast. Together with the representatives of seven other republics, he signed the Treaty of the New Economic Community that same month. On December 21, 1991, the Kyrgyz Republic formally entered the new Commonwealth of Independent States (CIS). In 1993, allegations of corruption against Akayev’s closest political associates blossomed into a major scandal. One of those accused of improprieties was Prime Minister Tursunbek Chyngyshev, who was dismissed for ethical reasons. Following Chyngyshev’s dismissal, Akayev dismissed the government and called upon the last communist premier, Apas Djumagulov, to form a new one. In January 1994, Akayev initiated a referendum asking for a renewed mandate to complete his term of office. He received 96.2% of the vote. The country joined the United Nations and the International Monetary Fund in 1992 and adopted a shock-therapy economic program. Voters endorsed market reforms in a referendum held in January 1994, and in 1996, voters overwhelmingly endorsed proposed constitutional changes that enhanced the power of the president, Akayev. In elections held on Oct. 30, 2000, Akayev easily won reelection with nearly 75% of the vote. The election, however, was marred by allegations of fraud, diminishing Kyrgyzstan’s claim to be the centerpiece of central Asian democracy. Once a popular leader, Akayev’s standing diminished as a result of accusations of nepotism and corruption. In 2001, Kyrgyzstan permitted troops from the United States and seven other nations to be stationed in the country in support of the fight against the Taliban and al-Qaeda in neighboring Afghanistan. In 2002, construction of a large US airbase began outside of Bishkek. In February 2003, a controversial referendum expanded Akayev’s powers, and in June parliament granted him lifelong immunity from prosecution. Elections in 2005 were marred by allegations of voting irregularities from international observers and opposition leaders, setting off violent protests in the country. On March 24, as the protests spread to the capital, Akayev fled the country, and he announced his resignation on April 4. Opposition leader Kurmanbek Bakiyev served as interim president and prime minister until the July 10 election, in which he won the presidency with 88.7% of the vote. Felix Kulov became the prime minister. An opposition leader, had been imprisoned by former president Akayev. During 2006, numerous public protests took place demanding constitutional reform and they pressured the government into cleaning up corruption. In response to the protests, President Bakiyev signed a new constitution in November that limited his powers. A month later, however, Parliament—under pressure from Bakiyev—restored some of his powers. Prime Minister Kulov resigned in December. Parliament twice thwarted Bakiyev’s efforts to reinstate Kulov. In January 2007, it approved Azim Isabekov as prime minister. He resigned the post in March, and Bakiyev named prominent opposition leader Almaz Atambayev as prime minister, temporarily averting a political crisis. In an October 2007 referendum, voters approved a new constitution and election laws proposed by President Bakiyev, who said the changes increased the power of Parliament and created a balance of power. The opposition, however, claimed the changes further strengthened the presidency. Monitors criticized the elections process, leading Bakiyev to call for new elections. He fired Prime Minister Almaz Atambayev in November; the opposition claimed Bakiyev was attempting to solidify his power ahead of elections. In the December Parliamentary elections, Bakiyev’s party, Ak Zhol, won easily with 46.99% of the votes, producing more accusations of fraudulent voting by the opposition. On July 23, 2009, President Bakiyev was re-elected with 76% of the vote, although there were many irregularities according to the Organization for Security and Co-operation in Europe. In October 2009, Daniyar Usenov was nominated as Prime Minister. On April 7, 2010, the government was overthrown by popular protests centered on the government’s brutality and corruption. An interim government has been established led by former foreign minister Roza Otunbayeva. The United States recognized Kyrgyzstan’s independence on December 26, 1991, and established its Embassy in the capital Bishkek on Feb. 1, 1992. The Clinton Administration’s Central Asian policy sought to eliminate residual Russian imperialism in the region. For Kyrgyzstan this meant receiving millions in economic aid from the US. Also, the United States helped Kyrgyzstan join the World Trade Organization in December 1998. The Sept. 11 attacks on the US produced a sea change in American foreign policy towards Central Asia, including Kyrgyzstan. The US military established a major airbase near Bishkek (Manas Air Force Base) in December 2001 for military and humanitarian uses during its campaign in Afghanistan to oust the Taliban regime and al-Qaeda forces. Shortly thereafter senior US officials in Kyrgyzstan were quoted as stating that the US airbase would remain long after the Afghan war has ended. The US eventually expanded the number of personnel stationed at Manas AFB, with housing units springing up all over the base. At US prompting, the IMF reached an agreement with Kyrgyzstan on a $93 million loan in December 2001. Since 2001 radical Islamic groups in the Central Asian nations have been linked with international terrorism. Both the Hizb ut-Tahrir (“The Liberation Party”) and the Islamic Movement of Uzbekistan (IMU), two radical Islamic organizations looking to establish an Islamic state in Central Asia, have a strong presence in Kyrgyzstan. The IMU, expelled from its own country, collaborated with the Taliban and al-Qaeda and led armed incursions into Kyrgyzstan. Following the anti-terrorist operations led by the United States after 9/11, all major units of the IMU were destroyed. Former President Akayev benefited both politically and personally from the US military presence in Kyrgyzstan. In addition to a $33 million aid package, the Bush Administration included Kyrgyzstan as a recipient of part of its $42.2 million border security equipment and training package for several Central Asian nations. US military presence ensured that Kyrgyzstan’s neighbors would be more respectful of its territorial integrity, which had been a problem in the past. However some opposition leaders accused Akayev of accepting bribes in exchange for permitting a US base of operations on its soil. In 2005, according to the then Foreign Minister Roza Otunbayeva, Russian and American military presences met the needs of their security concerns. According to the US State Department, US assistance provides “humanitarian assistance, non-lethal military assistance, and assistance to support economic and political reforms. It also has supported the Kyrgyz Republic's requests for assistance from international organizations.” It also supports health sector and educational reforms. The April 7, 2010, overthrow of the government has presented new challenges for the US government given that its base in Kyrgyzstan is of great strategic importance in its war in Afghanistan and Pakistan. The U.S. began using Kyrgyzstan's Manas Air Base shortly after it began operations in Afghanistan following the September 11, 2001, terrorist attacks. The base, which is at the main airport outside the Kyrgyz capital, Bishkek, handled about 50,000 U.S. personnel coming and going from Afghanistan in March 2010, along with 500 tons of goods. Manas AFB is home to the 376th Air Expeditionary Wing and serves as the premier air mobility hub for the International Security Assistance Force and Coalition military operations in Afghanistan. The wing’s missions include aerial refueling, combat airlift and airdrop, aeromedical evacuation and strategic airlift operations. The base also provides support for coalition personnel and cargo transiting in and out of Afghanistan. Approximately 1,100 military personnel from the United States, Spain and France are assigned to the wing, along with 750 US and Kyrgyz contractor personnel. Coalition aircraft supporting the mission include American KC-135s, Spanish C-130s and French C-135FRs. The air base has been a focal point in the struggle between the United States and Russia for influence in the countries of the former Soviet Union. Russia pledged a $2 billion loan to Kyrgyzstan on the day in February that the Kyrgyz president announced that the United States would be evicted from the base. Further adding to tensions were rumors that the US planned to attack Iran from the Manas airbase, and the possible storage of nuclear weapons there. This in turn made it easier for pro-Russian political forces to demonstrate their disagreement with Kyrgyzstan’s cooperation with the United States. Relations between the two countries worsened after the SCO summit of August 2005, when Kyrgyzstan was urged to request deadlines for the US military presence on its territory. A year later, Kyrgyzstan expelled two American diplomats over allegations of spying. Then, in December 2006, a US airman killed a Kyrgyz citizen, Alexander Ivanov. Local mass media outlets, political figures, and NGO activists mobilized against the United States, seeking every possible reason to expel the US military base from the country. In 2007 Secretary of Defense Robert Gates and Assistant Secretary of State for Central and South Asia Richard Boucher visited Bishkek to troubleshoot problems that had arisen over the US military presence at Manas AFB. Both US officials insisted that the Kyrgyz government and parliament should regard the status of the American military base as key to the international fight against terrorism. Furthermore, Boucher suggested that Kyrgyzstan not raise the issue of the base at the Shanghai Cooperation Organization (SCO) summit in Bishkek. Boucher stated that the base is a part of cooperation between the US and Kyrgyzstan and there is no need for third-party intervention. In addition to the military relationship, the US provides assistance to support economic and political reforms. US assistance is aimed at implementing economic, health sector, and educational reforms, and supports economic development and conflict resolution in the Ferghana Valley. Tensions had been growing in Kyrgyzstan over what human rights groups contended were Bakiyev’s increasingly repressive policies. However, after Bakiyev threatened to close the American base in 2009, the Obama administration had sought to cultivate ties with Bakiyev, thus angering the opposition. Bakiyev reversed his decision after the American side agreed to concessions, including higher rent. On April 7, 2010, popular protests ousted the government. The protests were centered on the government’s brutality and corruption. The last straw came when the government sharply increased utility rates. During the protests, 84 people were killed, and hundreds wounded. A transitional government led by a former foreign minister, Roza Otunbayeva, took power, dissolved Parliament and said it would remain in office for six months. While some members of the interim government expressed resentment toward Washington for its support of Bakiyev, Otunbayeva said that the lease on the Manas Air Base would be "automatically" extended beyond its expiration in July 2010. The country's president, Kurmanbek Bakiyev, fled the capital, Bishkek. Eight days later he formally resigned and went to Kazakhstan, under an agreement brokered by Russia, regional leaders and the Obama administration. Read More...Under the brokered deal, Bakiyev was compelled to leave without his younger brother, Zhanybek, the former head of the presidential security service, who is accused of ordering troops to open fire on demonstrators during the protests. A total of 12,772 Americans visited Kyrgyzstan in 2006. The number of tourists has been growing slowly but steadily since 2002, when 10,883 Americans traveled to Kyrgyzstan. In 2006, 837 Kyrgyzstanis visited the US. Since 2002, the number of Kyrgyzstani tourists has remained between 600 and 900. The US exports far more than it imports when it comes to Kyrgyzstan. Exports in 2009 totaled $51.9 million, while imports tallied only $6 million. Export data for 2009 shows that meat, poultry and similar products were the largest selling trade items from the US to Kyrgyzstan, totaling $9.05 million. The second largest items were civilian aircraft, engines, equipment and parts at $6.5 million. In third place at $5.3 million were trucks, buses and special purpose vehicles. Other top exports include excavating machinery at $4.5 million, telecommunications equipment at $3.9 million, passenger cars at $3.2 million and drilling and oilfield equipment and parts for military type goods, both at $1.7 million. The top imports were tobacco, waxes, and nonfood oils at $1.2 million; and medicinal, dental, and pharmaceutical preparations at almost $1.2 million. The Congressional Budget for Foreign Operations includes an estimated $53.8 million in aid to Kyrgyzstan in 2010. This amount is down by $5.1 million from the $58.9 million spent in 2009. The amount will be distributed into 5 main areas; Economic Growth ($28 million), Governing Justly and Democratically ($9.9 million), Investing in People ($7.3 million), Peace and Security ($7.2 million), and Humanitarian Assistance ($1.2 million). According to the State Department, aid to the Kyrgyz Republic will work to enhance its security, improve its ability to confront violent extremists, create economic prosperity, and strengthen democratic freedoms. The Peace and Security allocation will work towards countering terrorism, combating the spread of weapons of mass destruction, stabilizing operations and security sector reform and counter-narcotics. Money will support the renovation and equipping of police training facilities. There will be additional specialized forensics and police equipment provided to these institutions. Researchers who were formally involved with weapons of mass destruction research will be retrained and assigned to civilian research. US contributions to Foreign Military Financing are set at $3.5 million and International Military Education and Training is at $1 million. This type of aid has been previously allocated to acquiring communications equipment and terrain-appropriate soldier gear. Funds will support an English language training program. Military tactical and strategic training programs will be developed for upper-level military offices to improve their capacities in security, which includes, nonproliferation and antiterrorism. Governing Justly and Democratically will support the rule of law and human rights, good governance, political competition and consensus-building, and civil society. The US Department of State and US Agency for International Development (USAID) will work together to improve the skills of defense lawyers. The State Department will also work to strengthen prosecutors. Investing in People will focus on health and education. Aid will support improved cost-effective primary health care services and broadening public knowledge about available health options. Programs will be established for improved disease control and prevention with the help of the US Center for Disease control and Prevention. USAID will improve its university loan program and the existing vocational education programs to increase employment through education. Training will be provided for teachers and for the improvement of the systems curriculum. Aid towards Economic Growth will provide support for the macroeconomic foundation for growth, trade and investment, the financial sector, infrastructure, agriculture, private sector competitiveness, and economic opportunity. Humanitarian Assistance will supplement the weak institutions of the host country in its humanitarian relief efforts. US efforts will be focused on helping the Kyrgyz government “control its borders, maintain a professional military, building the capacity of its law enforcement agencies, and contribute to the overall stability of the region.” This will be accomplished by reducing corruption, improving investigation skills, enhancing forensics capabilities, and improving hiring practices of Kyrgyz law enforcement. Aid will also provide military equipment for the prevention of terrorist attacks. Antiterrorism training will facilitate this. Effort will go into maintaining a strong and healthy civil society by engaging the public in their civic duty and participation in the political processes. Grants will be funneled through USAID to develop local human rights groups and citizen improvement in their respective specializations. US efforts in the economic sector will work towards establishing a system that provides incentives to businesses to create jobs and strengthening the country’s food production. The necessary adjustments will be made to local governments to attract investment in those communities. USAID will consult as to what necessary changes must be made in order to promote Kyrgyzstan’s global competitiveness and increasing regional cooperation, mainly by reducing trade barriers. U.S. Ambassador Tatiana C. Gfoeller has been criticized by the interim government for seldom meeting with them when they were in the opposition to Kurmanbek Bakiyev. Currently, she is being criticized for ignoring the current opposition of the interim government. Following his landslide election as president in 2005, Kurmanbek Bakiyev caught many political analysts off guard when he raised the possibility of closing the US-run Manas Air Force Base outside Bishkek. The American military established the air base shortly after the September 11 terrorist attacks. US and European planes stationed at the facility fly support missions to assist ongoing military operations in Afghanistan. Bakiyev maintained that the situation in Afghanistan was stabilizing and went on to suggest that the American military presence might not be needed for much longer. “Time will show when this [US withdrawal] will happen and what specific process [it will follow],” Bakiyev said. Bakiyev’s comments were seen by some observers as evidence that the United States’ geopolitical influence in Central Asia was waning. In June 2009, however, Bakiyev re-negotiated terms with the Americans and raised the rent of the air base from $17 million to $60million. When a new US-sponsored printing press began operations in Kyrgyzstan in 2003, it broke a state monopoly over publishing. Civil society advocates hoped that the development would spur freedom of expression, but controversy enveloped the new printing press shortly after opening. The press was established by the international organization Freedom House with funding provided by the US State Department’s office for Human Rights, Democracy and Labor. The Kyrgyz non-profit organization Media Support Center Foundation was charged with operating the press. Its main aim was to create competition with the state-owned press house, Uchkun. The state-owned press had in recent months refused to print newspapers critical of the government. But then the Freedom House press suffered a serious blow when Victor Zapolskiy, editor of the private weekly newspaper Delo No., announced that he was resigning from the board of directors and that he would shift his business back to Uchkun. He laid out his reasoning for the moves in a public letter addressed to the press’ board chairman and to US Senator John McCain. The letter, entitled “The Role of a Faceless Bystander is Not for Me,” accused the Freedom House press of poor management and staff and sub-standard printing. He claimed he was told prices would be half the level of prices at Uchkun, and when he received the bill, they were much higher. According to a Freedom House Press Release, the Kurmanbek Bakiyev administration began putting pressure on the free flow of information by blocking broadcasting and internet access to independent news agency's sponsored by the US. Freedom House has classified Kyrgyzstan as “Not Free” in its 2010 survey on political rights and civil liberties. Authorities detained opposition leaders Omurbek Suvanaliyev and Omurbek Abdrakhmanov of the United Front, and Adilet Aitikeyev of the Kanjar Youth Movement, on charges of organizing mass disorder in connection with April antigovernment demonstrations in Bishkek. On April 27, they were released under orders not to leave Bishkek for the duration of the investigation. On August 1, prosecutors filed similar charges against opposition leader and former Prime Minister Felix Kulov. The government at times used law enforcement agencies to intimidate organizations. NGOs, labor unions, political parties, and cultural associations must register with the MOJ. Protesters could criticize the government, but it attempted to impede criticism through practices such as political meeting monitoring. According to the US State Department, there is continuing harassment of the media. Human rights organizations have noted several cases in which unknown assailants harass opposition news media journalists. There were increased reports of harassment characterized as reprisal for criticizing the government. The Committee to Protect Journalists (CPJ) reported several incidents of opposition news media facing harassment by security agents and receiving death threats by unidentified callers demanding cessation of reporting in support of the opposition. The CPJ and the International Helsinki Federation for Human Rights (IHF), together with local media, reported cases of violent attacks by unknown assailants on numerous journalists and cameramen from pro-government and opposition news agencies. On March 16, unknown assailants severely beat Kairat Birimkumov of the State Television and Radio Company. Although no perpetrators were caught, the journalist speculated that the attack stemmed from an earlier report revealing alleged corruption, negligence, and illegal business activities at the Kyrgyz Temir Zholu railroad company. According to the Associated Press, several media outlets that cover Kyrgyzstan suffered a coordinated media blackout for a two-week period in March 2010. According to the US State Department, on March 13, 2009, the former presidential chief of staff, Medet Sadyrkulov; the former director of the International Strategic Studies Think Tank, Sergey Slepchenko; and driver Kubat Sulaimanov were found dead in a burned out car outside the capital. Opposition members believed the accident to have been staged by the government to deal a blow to the opposition. On July 4, 2009, a freelance journalist, Almaz Tashiev, a government critic, was beaten severely in what is thought to have been a politically motivated incident. He later died from his injuries. There have been many other “accidents” concerning members of the press that are believed to have been politically motivated. Opposition protesters suffer some of the same treatment. Other cases of government abuse of power are in cases of unlawful interference with privacy, family, home and correspondence. Freedom of assembly is respected under a set of restrictions, namely they should be kept away from government entities. According to international observers, the presidential election of 2009 was marred by fraud. The process was filled with ballot box stuffing, multiple voting, and misuse of government resources. Former president Kurmanbek Bakiyev was re-elected with 76% of the vote. According to Amnesty International, new legislation in 2009 banned all unregistered religious activity and hampers the ability of small religious minorities to officially register. There have been a few instances in which religious groups have openly protested the government and have been incarcerated under false pretenses, accused of belonging to the banned islamist group, Hizb-ut-Tahrir. Corruption remained a serious problem at all levels of society. The law provides criminal penalties for official corruption, but the government did not implement the law effectively, and officials engaged in corrupt practices with impunity. During the year the government took limited steps to address the problem, including reports of arrests of government officials on corruption charges. The World Bank’s worldwide governance indicators reflect that corruption was a severe problem. From January to July of 2009, there were 605 corruption-related charges against government officials that included: malfeasance, illegal examinations by state agencies, mismanagement of government funds and unauthorized procurement, embezzlement, illegal commercial activity, and bribery. Bribery to avoid investigation is a problem across all levels of law enforcement. Police impunity is the driver for such practices. At a meeting on combating corruption, chairman of the National Anticorruption Council and parliamentarian Rashid Tagayev stated that corruption eroded all sectors of society from schools to government offices. The National Anticorruption Agency released the results of a survey stating that law enforcement agencies were considered to be the most corrupt government bodies, with the Prosecutor General’s Office at the top of the list, followed by the Ministry of Interior, the Ministry of Defense, and the Ministry of Justice. According to polls conducted by the International Arbitration Court, 70% of businessmen did not trust the judicial system due to rampant corruption. The law prescribes a fair public trial to all persons, but the executive branch often interfered with the judiciary. People’s confidence levels on the judicial process is low as there is a popular belief that judges can be bribed and susceptible to external pressures. Violence against women remained a problem. Some estimates indicated domestic violence constituted between 40-60% of all crimes committed against women. Many crimes against women were not reported due to psychological pressure, cultural traditions, and the apathy of law enforcement officials. The NGO Sezim estimated that 90% of cases brought against alleged rapists would never be brought to court. All experts concurred that most of the cases would be mired in corruption or thwarted by bribery of officials. In March and October 2006, Zulhumor Tohtonazarova claimed police officers tortured and raped her at the temporary detention center of the Bazar-Korgon district police station in 2003. She claimed she became pregnant as a result, and male officers watched as she gave birth while handcuffed to a bed. The premature baby died days after birth. After eight months in custody, authorities released Tohtonazarova as a result of demands by human rights activists. The Prosecutor General’s Office investigated the accusations, but found no truth to her claims. On April 12, prosecutors dropped criminal charges they had filed against human rights activist Azimjan Askarov, who defended Tohtonazarova, for his alleged involvement in spreading false information about law enforcement officials. In 2005 police detained Tohtonazarova again and, according to reports by human rights activists, tortured her by putting needles under her fingernails. She was released after appeals by human rights activists. In July 2006 the Bazar-Korgon district court sentenced Tohtonazarova to five years’ imprisonment for a petty theft she allegedly committed in 2005. In August 2006 the Jalal-Abad Oblast Court reduced the sentence to a three-year suspended sentence and released her. A 2008 law was established to enforce equality between sexes, but women continue to be discriminated against when applying to educational institutions and jobs. Men earned much more than women. Women are legally allowed to take political roles, but traditional attitudes towards women often hinder their ability or wish to participate. There were numerous reports of child abandonment due to parents’ lack of resources, leading to larger numbers of children in institutions, foster care, or on the streets. State orphanages and foster homes also faced a lack of resources and often were unable to provide proper care. Some children too old to remain in orphanages were transferred to mental health care facilities, even when they did not exhibit mental health problems. Many street children left home because of abusive (8%) or alcoholic (10%) parents or desperate economic conditions (75%). Government and NGO estimates of the number of street children nationwide ranged from approximately 2,000 to 15,000, depending on the time of the year. At times police beat detainees and prisoners to extract confessions for multiple crimes in order to close unsolved cases. Police also used false charges to arrest persons and solicited bribes in exchange for their release. In March and August 2006, the human rights ombudsman expressed concern over a number of incidents involving abuse of detainees, blaming the abuse on corruption and a low level of professionalism among jail and police officials. In June 2006, the Ministry of Justice (MOJ) established the Internal Security Service (ISS) to investigate and curb corruption and abuse within penitentiaries. Prison conditions were poor and included overcrowding, food and medicine shortages, poor health care, limited disease prevention facilities, and lack of heat and other necessities. Human trafficking is a growing concern, and many believe the government facilitates such occurrences by its lack of proper law enforcement and judicial processes. It is a transit country more so than a destination. The government did not directly assist victims, but aided organizations that did. According to Amnesty International, refugees and asylum-seekers from Uzbekistan run the risk of being forcibly deported or abducted by Uzbekistani security forces which are often thought to have had help from the Kyrgyz security forces. During the April 7, 2010, protests that ousted former President Kurmanbek Bakiyev, Amnesty International issued a letter asking the Kyrgyz security forces to avoid using excessive force for even in a state of emergency, human rights must be protected. Human Rights Watch has asked the government to call for international support to investigate the violence during the protests and violence from April 6 through 8, 2010. According to their research, both security forces and protestors contributed to the conflict. Casualties and injuries numbered at 85 and hundreds, respectively. This marks the greatest incident of political violence since the country’s independence. The conflict escalated as government forces attempted to impede political gatherings across the country. On April 8, opposition supporters took control of the main government building and ousted former President Bakiyev. The interim government has welcomed the idea of an international investigation on the matter, but has failed to formally request any aid. Amnesty International made the following recommendations concerning human rights to the Kyrgyz republic. 2. Ensure that everyone can peacefully exercise his or her freedom of expression and assembly. on cases of ill treatment. 4. Establish an independent human rights agency that can act as a watchdog on all government entities and officials. - Have this agency review past cases involving public officials concerning human rights abuses. - Ensure that no statements coerced through torture can be used during trials except as evidence against a person accused of torture. - Ensure that all people who are detained are promptly informed of the charges against them and allowed access to a lawyer of their choice. Kyrgyzstan's Ambassador to the U.S.
Muktar Djumaliev became ambassador of Kyrgyzstan to the United States in December 2010. 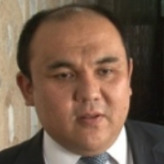 Born on June 22, 1972, Djumaliev earned an undergraduate economics degree from the National University of the Kyrgyz Republic in 1994, and three years later, he earned his law degree. Djumaliev began his career in the Department of External Economic Relations of the State Committee on Economy. In 1996 he served as an advisor to the minister of finance. The following year he was put in charge of the Department of External Economic Relations, but then he was transferred to the National Bank of the Kyrgyz Republic, where he worked as deputy director on Investments and Coordination of Technical Assistance. In 1998, he was appointed first secretary of the Kyrgyzstan’s mission to the United Nations office in Geneva. In 2001-2002 he studied international law and economics at the World Trade Institute at the University of Bern in Switzerland. In 2003, Djumaliev served as an expert in President Askar Akayev’s Economic Policy Department and he worked as first deputy to the minister of foreign trade and industry. In 2004, Djumaliev took over as Kyrgyzstan’s ambassador to the World Trade Organization in Geneva. That same year he became ambassador to Switzerland. He then served as his nation’s permanent representative to the United Nations. Before taking over as ambassador to the U.S., Djumaliev served as first deputy chief to President Roza Otunbayeva from June to December 2010. In addition to serving as ambassador to the U.S., in May 2011, he presented his credentials as the Kyrgyz ambassador to Canada. Kyrgyzstan's Embassy Web Site in the U.S.
Kyrgyzstan’s Embassy in the U.S.
On August 28, 2014, President Barack Obama announced the nomination of Sheila Gwaltney, a career Foreign Service officer, to be the next ambassador to the Kyrgyz Republic. If she’s confirmed, it will be the first ambassadorial posting for Gwaltney, an expert on Russia and the region. Gwaltney is from Woodland, California, and attended nearby the University of California-Davis, earning a B.A. in international relations. She did her graduate work at George Washington University, earning an M.A., also in international relations. After college, Gwaltney worked as a program coordinator for Delphi Research Associates in Washington. She joined the Foreign Service in 1984 and was sent to Panama as a consular/political officer. Gwaltney moved on to the U.S. Embassy in Pretoria, South Africa, in 1987. In 1990 she took a leave from diplomacy as a National Security Affairs Fellow at the Hoover Institution at Stanford University. At the conclusion of her fellowship, Gwaltney was sent to St. Petersburg, Russia, as a political/economic officer in the U.S. consulate there. She returned to Washington in 1995 as deputy director in the Office of Russian Affairs and, starting in 1998, served as special assistant to the under secretary for political affairs. Gwaltney got her first assignment to Kyrgyzstan in 1999 as deputy chief of mission at the U.S. Embassy in Bishkek. She came home in 2002 as director of country affairs for Eurasia in the Office of the Coordinator for Assistance to Europe and Eurasia. Gwaltney returned to that region in 2004 as the deputy chief of mission in the embassy in Kyiv, Ukraine. While there in 2006, she sent a cable warning of possible Russian threats to that country, particularly in Crimea. Gwaltney returned to Washington in 2007 as senior advisor in the Office of Coordinator for Reconstruction and Stabilization, the State Department office that deals with countries coming out of conflict and helping them rebuild their country and society. She was sent back to St. Petersburg in 2008, this time as consul general. In 2010, Gwaltney was assigned to Moscow as deputy chief of mission. She eventually served as chargé d'affaires, ad interim. As such, she was in charge of the embassy after Ambassador Mike McFaul left, and she handled much of the U.S. response to Russia’s annexation of Crimea and invasion of Ukraine, events she had warned of earlier. 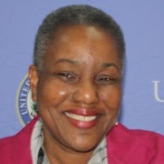 Pamela L. Spratlen was sworn in as U.S. Ambassador to the Kyrgyz Republic on April 15, 2011. She was born in Columbus, Ohio and raised in Washington State and California. Her father, Thaddeus Spratlen, was a professor in the Department of Marketing at the University of Washington’s School of Business. Her mother, Lois Price Spratlen, was an associate professor in the University of Washington’s School of Nursing, the university’s ombudsman and the author of African American Registered Nurses in Seattle: The Struggle for Opportunity and Success. Spratlen earned an A.B. in Psychology from Wellesley College in 1976. After graduation, she relocated to California to work for Los Angeles-based Volunteers in Service to America (VISTA) and other public service organizations. In 1981 she received her M.A. from the School of Public Policy at U.C. Berkeley, and attended the U.S. Army War College. In 1990, Spratlen joined the U.S. State Department in Washington, D.C., as an economic officer. By 1998, she had advanced to Executive Secretariat and Special Assistant to the Counselor of the Department of State, working as a member of the team responsible for planning the official travels of Secretary Madeleine Albright. In that capacity, Spratlen went to the U.S. Embassy in Moscow in January 1999 to help lay the groundwork for Albright’s meetings with the Russian Federation on the subject of the Kosovo situation. Spratlen went on the serve as Country Director in the Bureau of European Affairs and as Acting Deputy Assistant Secretary for South and Central Asian Affairs. She held U.S. diplomatic posts in Guatemala and, from 2000 to 2002, in Moscow. She then became Vladivostok Consul General, a position she held from 2002 to 2004. The following year she was named Diplomat-in-Residence at Hawaii’s East West Center. Spratlen also served at the U.S. Mission to the Organization for Economic Cooperation and Development. Most recently she was Deputy Chief of Mission at the U.S. Embassy in Astana, Kazakhstan. She speaks Russian, French and Spanish.